Don’t go into business because you need a job – Go into business because you want to be in business. 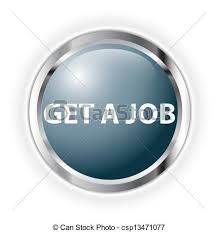 Work at getting a job if you what you REALLY want is a job! It's about that time of year when job seekers, who began their searches with great zest and zeal at the beginning of the year, grow tired and discouraged. They’ve been at it a long time, working hard, and despite all their effort, have not yet landed their next job. ● Discouraged, some just give up. ● Others think, "Maybe I'll just start a business!" Seems like an option – Right? Wrong!! There is only one reason to go into business: You want to be in business. Starting, building, and running a small business is a life commitment and a lifestyle. Those who succeed do so because it is their burning desire to do so. Born of necessity, many – if not most – other things come in second! It is interwoven into their daily existence, so that you can't tell where one starts and one lets off, leaving no clear demarcation between the business work day and personal time. Being in business becomes a way of life. If you want a job, work at getting a job. What playing around with the idea of starting a business does for someone who actually wants a job is deters them from the job of finding a job and delays their search. They waste their own and others' time and energy. If you are looking for a job, engaging in business start-up activities sends a mixed message about your commitment to being a good, reliable, and long-term employee for an employer. ● A prospective employer isn't sure what you want from them: business or a job? ● It also sends a confusing message to network contacts, leaving them wondering in what capacity to refer you: job seeker or budding entrepreneur? ● It even carries over to business cards: Do you design them to look like a prospective employee or business? In summary, in doing business start-up activities, a job seeker winds up NOT spending time on the very job search activities that will get them what they really want . . . A JOB! So, decide. Are you looking for a job or an account? You can’t do both at the same time. You water down your argument in either case as to why you will be the best employee or the best provider of your service or product in your business. Don’t mix up searching for a job with starting a business. Focus on your search if you want a job, and on building a business if you want a business.